Ken, am I really being that unclear? I’m not talking about articulated sequences at all. This is a method for determining the “horizontal” position of a single vertebra, by considering its hypothetical articulation with itself. What about just drawing the longest possible transect line through the centrum and making that line horizontal? From vertical center of the anterior and posterior faces of course. Well, I could see that — but then you have to figure out where the centres of the anterior and posterior faces are. Not always obvious. like I said the first time, it is how you chose to figure it. Ignore vertebrae and start with rectangles, parallelograms, trapezoids, etc. You normally orient these in an illustration with the long axis parallel to the top and bottom of the page (screen, whatever). The long axis is horizontal RELATIVE to the top and bottom. You don’t have to orient it that way – there is no “law”. It is convention to do it that way. Replace the geometric shape with your vertebra(e), Likewise, convention plays a role in how we orient vertebra in a figure. Matt could, to save space, orient his sauropod cervical vertebrae parallel to the left and right sides of the page (or screen), rather than the top and bottom. There is no “law” that says it has to be one way or the other, just convention. Now to take this back to the slope issue: all that matters is that you explain the methodology so I can replicate it. Ultimately isn’t that what you want, repeatability? But, Ken, surely the point here is that vertebrae are not simple geometrical shapes. There is not always such a thing as “the long axis”. That said, I do agree in principle that in the case of Xeno, what matters is that I should be explicit about exactly what I’m saying with regard to the slope of the neural arch. The thing is, I can’t just say “35˚ relative to the vertical cotyle” because in lateral view the cotyle is anything but straight: instead, it’s a smooth arc that merges with the posterior margin of the arch. Like I said: vertebrae are not geometric shapes. Which is why I want to land on a rigorous method for determining what is horizontal that (A) reflects our intuition on this, and (B) works for all vertebrae, from giraffe C7s to Haplocanthosaurus caudals. That’s going to be difficult. You almost never get something like that in nature. Even in situations where something works like that for 99% of cases, you’re always going to get at least one case that sticks out. Even things that seem like they should work all the time due to biomechanical principles you get exceptions in some group or another because they’ve modified that part for some other function and the initial assumptions no longer hold. For all we know giraffe (and maybe camel) necks are an outlier to the idea of using the border of the centrum as the definition for horizontality because most mammals don’t have long necks and most long-necked animals don’t have to work around the constraint of having seven neck vertebrae, so the angle between two individual neck vertebrae is not as pronounced as it is in mammals. Giraffe and camel necks do always seem to have sharper angles between the vertebrae in skeletal reconstructions than something like a bird, though that is just anecdotal observation on my part. Interesting thoughts, Anonymous. I think I’m OK with the idea that whatever definition of “horizontal” we land up with doesn’t work with 100% of vertebrae (despite what I said earlier), because I like the idea that in cases when it doesn’t “work” — i.e. when what it defines as horizontal doesn’t match our intuition — it’s telling us something real about the animal. But I don’t buy the specific notion that in “most long-necked animals […] the angle between two individual neck vertebrae is not as pronounced as it is in mammals”. See for example the rapid cranking in the neck of the parrot at the bottom of this post: it goes through nearly 180 degrees in four joints. 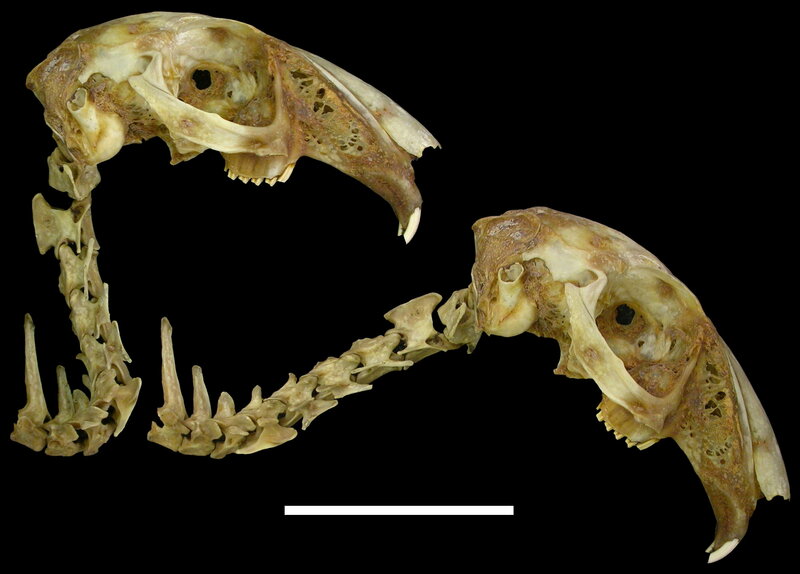 I notice the form of the neck verts blurs into that of the dorsals: Its like a dogma mammals have 7, but it seems to me a bit arbitrary to draw a neat line in the first place? Yes, it’s not always completely clear where neck ends and trunk begins. I believe it’s clearer in mammals where there tends to be more abrupt morphological transition, but for at least some sauropods, some of the shoulder-region vertebrae are arguable. What if … you define horizontal as the orientation of the vertebrae when the bottom edge of the centrum is flat? 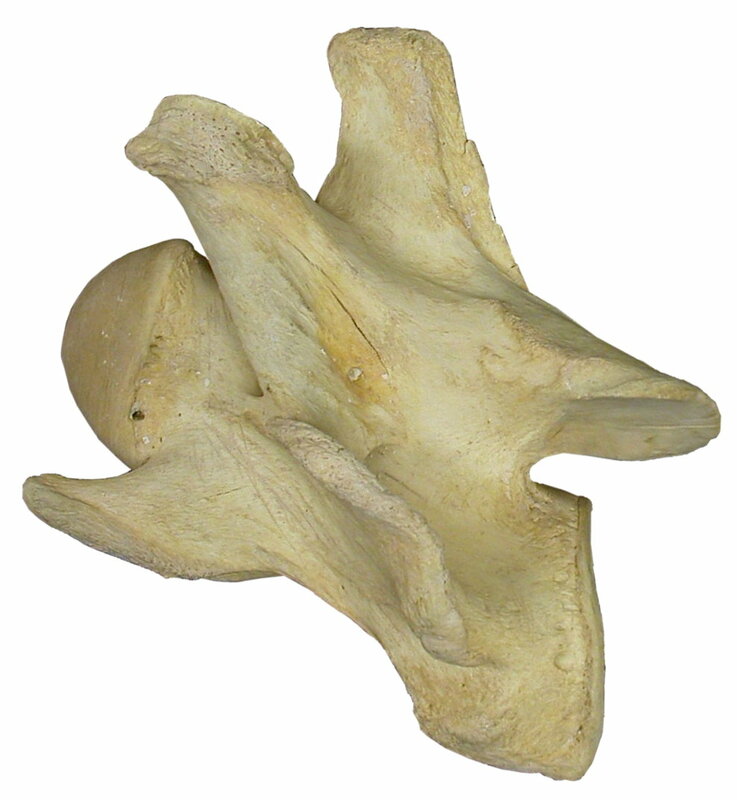 Excluding crests etc standing a vertebra upright with both the bottom of the cotyle and bottom of the condyle level would probably make the vertebra horizontal regardless of the tilt of the articular surfaces. Not a perfect method, expecially when the vertebrae have a much smaller anterior (or posterior) end, but that is rather rare to see. That is actually not a bad idea. We’ll think on this. I don’t think the “excluding crests etc” clause is going to make it, though? Who can say when something is or is not a crest? Also, what about Barosaurus cervicals where the ventrolateral processes of the posterior part of the centrum extend further ventrally than the cotyle margin? 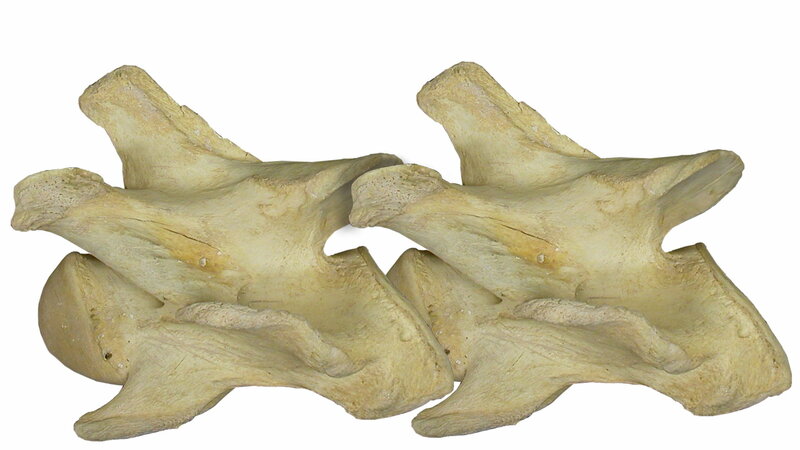 But bottom-of-cotyle to bottom-of-cotyle in articulated vertebrae is the same as our Method C, isn’t it? I guess through the time I’ve thought I’ve gotten to like method C. But when only one vertebra is known bottom of condyle to bottom of cotyle should work fairly well. 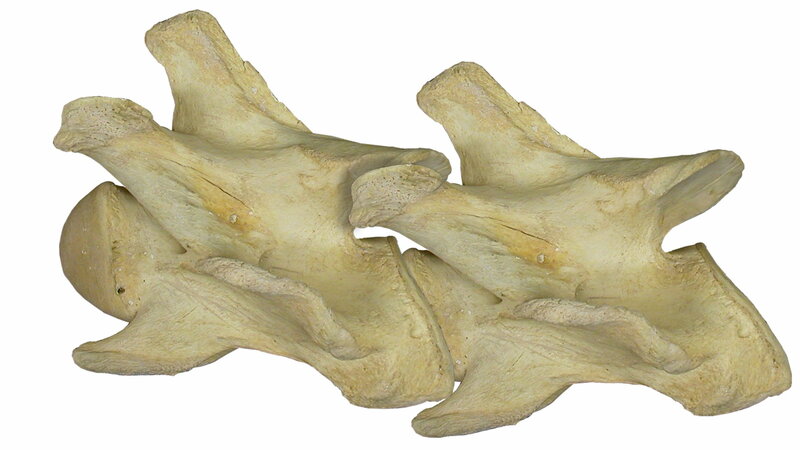 « What does it mean for a vertebra to be “horizontal”?